If you’ve been following SEOMoz at all over the years then you know that they periodically do studies for determining what factors Google may be using to rank your sites. Every couple of years they release their survey and it is common practice for SEO specialists to study them in great detail and debate the findings. This year is no different. Well, kind of no different… this year they did us all a favor and added in opinions of over 100 SEO experts on correlation data. Of course, you’ll still find the traditional type of data that they normally use, such as how keyword usage in your domain affects rankings. The difference is they’re broken down into a refreshingly new format that should be easier for more people to understand. 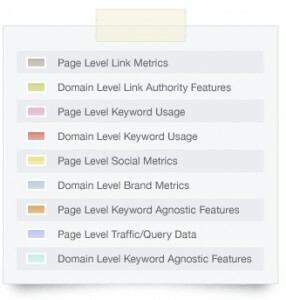 The study seems to show that the number of unique external domains you have pointing to your site can influence your rankings. The more the better. But we knew that, right? But you may think you need to have your exact anchor text being used in those links. In the opinions from their study, even having partial anchor text was voted about the same as having your exact, preferred anchor text. It also seems to help if the links come from the root domain of an external domain vs. a link on another page of the domain. They’re probably right. 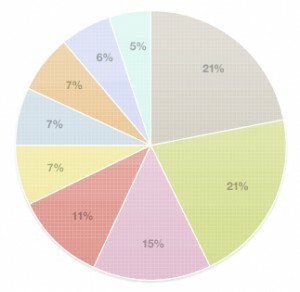 The study shows that most of the participants believe that nofollow links can help your site rank better. That’s only common sense to me though… if you have a thousand dofollow links and not a single nofollow that doesn’t look natural at all! Plus, the majority of huge, true authority sites use mostly nofollow links when they link out. External links seem to be losing some of their value, but your on-page factors remain vital. At the top of priorities are the title tag, the first words in your title, your URL and H1 headings. This is all very basic SEO factors that you should be doing already, but this study drives the nail in even further. You better be paying attention to your on-page SEO if you want to have any hope of ranking. This entry was posted in SEM, SEO, SMM, Web Development, ZD White Wall and tagged improving your website, Ranking factors, search engine optimization, SEO, SEO Moz, SEOmoz.